We're fans of Bob Mills, but he never scored that big TV hit. 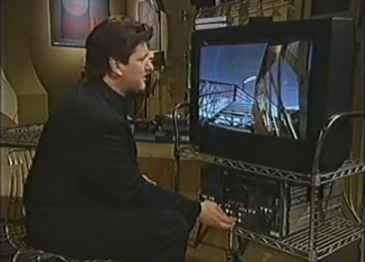 There were a lot of other presenters doing the 'laddish' angle throughout the 90s, so it was a crowded market place. He seems to have had more success with writing and radio work. He's always great on TalkSport and Fighting Talk. 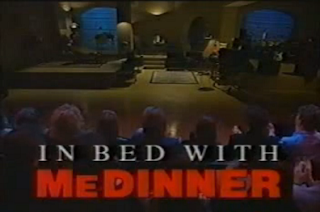 On a certain comedy discussion forum, In Bed With Medinner is held in very high esteem indeed, particularly an episode in which Mills picked apart a bleak ITV documentary called 'Summer On the Estate' - in short, encouraging his audience to laugh at an alcoholic wife beater with the morals and IQ of a salted slug. Not my idea of a fun time, but each to his own, as my old mum used to say. 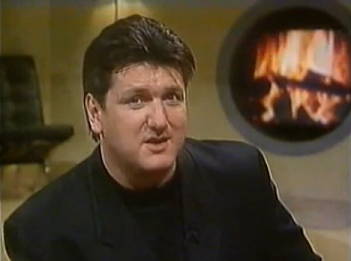 I used to enjoy this series and Bob Mills is a good laugh,some of Bob's 'jokes' about various household objects in his flat were lame but the clips he showed of different everyday people in Briain was very good,on the whole it was a good show and I have fond memories of it! "You're either football or muggy bonehead"
Still an in-joke amongst me and some pals, 25yrs later. This, along with the Word and Fantasy Football were essential Friday night viewing during the early 90s for my pals and I. 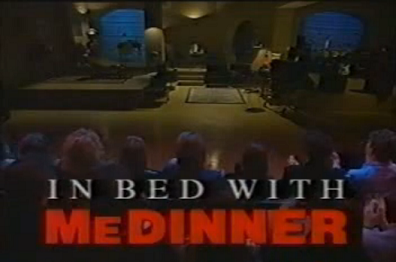 Always had a soft spot for this programme and often searching on YouTube for new uploads. Completely unrelated, but I think also from same era, was the Roland Rivron talk show (Rivron) that he hosted whilst treading water in a pond. Guests were also expected to get into the pond too. Surreal. Can't even imagine how the pitch for that got signed off.